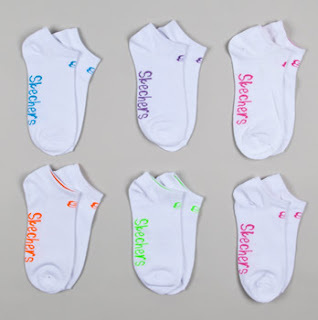 Ladies Skechers Socks Less Than $1 a Pair + 10% Off or Free Shipping! Head over to Totsy and you can score ladies Skechers socks for less than $1 a pair! The socks are being sold in 3-packs for $4.25 and 6-packs for just $5.50, making them only $0.92 a pair. There's several different colors and styles to choose from, including crew, no-show and more. If you're a new Totsy customer, you'll get free shipping on your order, saving you $7.95! If you're a current shopper, you can use the code couponcabin to save 10% on your order.